We haven't watched one of these videos in quite some time, but they're always a hoot when you see what happens when mechanics lose their minds with insane engine swaps. For instance, the BBC 6-speed Chevy Block bike is – literally – a two-wheeled chopper with a massive Chevy motor between the rider and the front wheel. Really. And then there's a homemade 392cc V8 motorcycle that looks like it's from before World War I, riding on super-skinny tyres. It's not just bikes though. There are twin-engined go-carts, others are turbo-charged. There is a Redline Performance R1 Snowbike, a Sverige S1 boat with an insane amount of exhaust pipes, a street-legal trike that'll blow your mind and a plethora of other crazy monstrosities to shake your head at. So, what are you waiting for? Hit the play button! 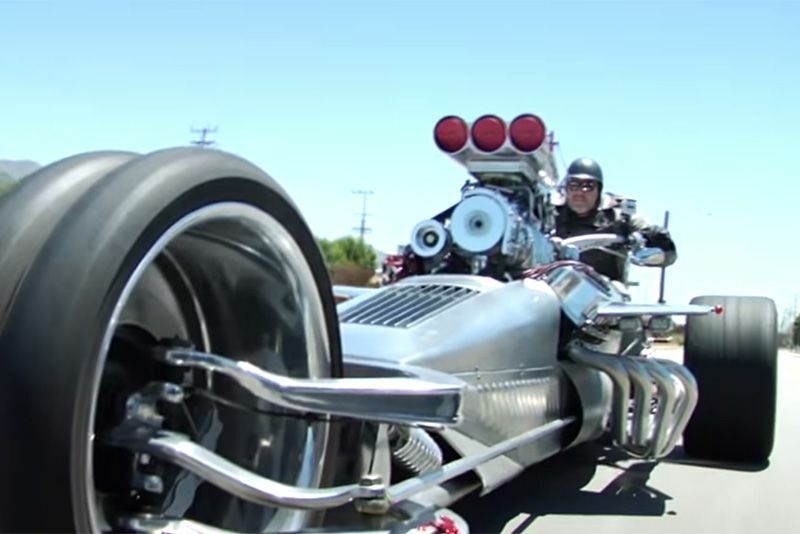 Video: Can This Ninja 900r-powered Custom Trike Even Be Legal?